Around the world, asbestos-related diseases are on the increase. 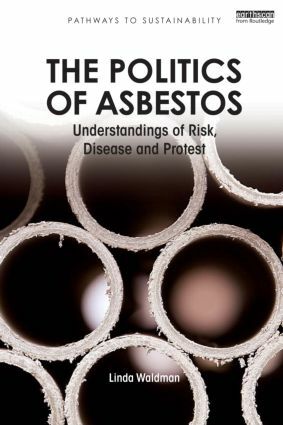 Meanwhile, in many newly-industrializing and developing countries, asbestos use continues unabated. This book, based on anthropological fieldwork in the UK, India and South Africa, explores people's understandings of their illness, risk, compensation and regulation, contrasting these personal and community narratives with formal medical and legal understandings. Linda Waldman is a Research Fellow in the Knowledge, Technology and Society Team at the Institute of Development Studies (IDS), Sussex University. She is a social anthropologist whose research areas include indigenous identity and nationalism, environmental pollution, and asbestos disease and its socio-cultural ramifications.